Plastic Pollution in the Water? Drink Up! What happens when you bring together an artist, a marine biologist, and two futurists for an interactive art installation? 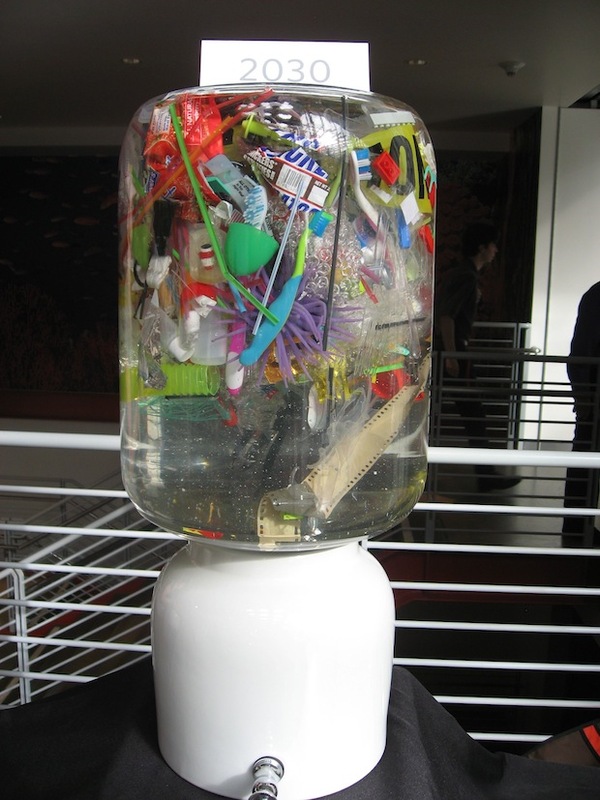 The answer, on display this week at the California Academy of Sciences in San Francisco, is Plastic Century, an installation created for the 100th birthday of Jacques Cousteau. 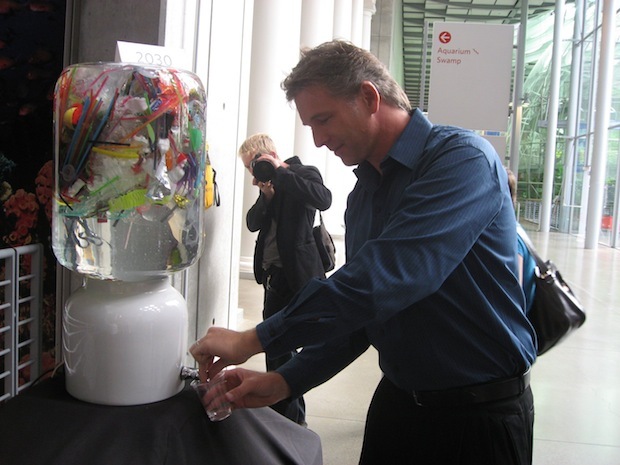 Plastic Century asks onlookers to drink water from four different coolers, each filled with bunches of plastic. But there’s a catch–the four coolers are labeled by year, extending from 1910 all the way through 2030. The amount of plastic in each cooler rises based on how much plastic exists (or is projected to exist) on the planet at any given time. had options that came out of it,” Kornfeld explains. “This is something that people can look at and feel on a visceral level.” The emotions that come from drinking trash-filled water–disgust, revulsion, sadness–are offset by the knowledge that 2030 hasn’t arrived yet. There is still time to fix things. could talk about reactions to getting these postcards,” Dunagan says. Want to check out Plastic Century? 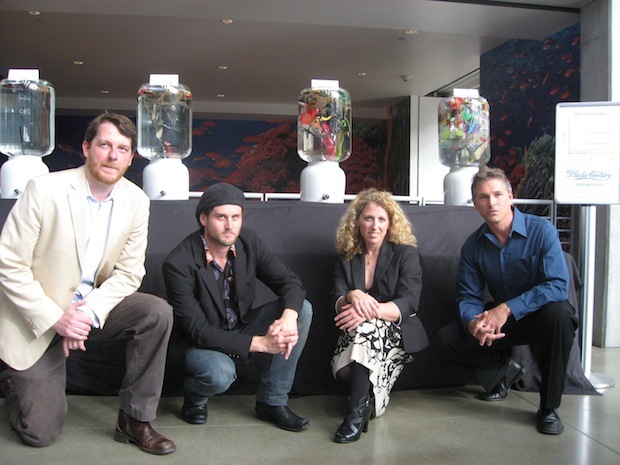 The installation will be at the California Academy of Sciences on June 10.